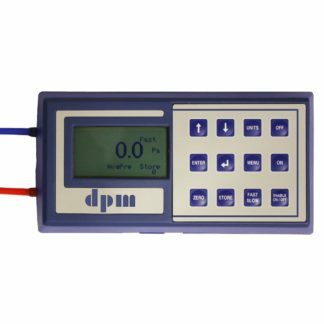 DP Measurement is herein referred to as dpm. Your statutory rights regarding faulty or misrepresented goods are not affected. In the event of the purchaser's order containing special conditions, that order will only be accepted by DPM on the understanding that those conditions are not at variance with our own, or if there is any variance, that such conditions have been waived by the purchaser. Prices quoted are 'Net Trade' and are exclusive of Value Added Tax. Value Added Tax will be charged at the applicable rate at the date of despatch. Prices/charges will be those ruling at the date of despatch and, whilst every endeavour has been made to ensure the accuracy of prices quoted, no responsibility is accepted for any error or omissions. The company reserves the right to charge extra delivery charges for any abnormal packages and for all off-shore addresses i.e. N. Ireland, Isle of Man, Isle of Wight and the Isles of Scilly. Please note: off-shore addresses can take up to 3/4 days for delivery. Risk in the Goods shall pass to the purchaser when the goods are delivered to, or collected by the purchaser or his agent. Property and title to the goods shall not pass to the purchaser until all sums, including interest or legal costs due or owing to DPM or to its agents, howsoever arising, have been received by DPM's bank and credited to DPM's account. DPM reserves the right of passive retention, stoppage in transit, and the right of resale, of any goods when any said sums are due or owing. Payment by credit card, or debit card. DPM will use its best endeavours to meet the estimated delivery times, but cannot accept any liability whatsoever for failure to do so. All goods and information are supplied in good faith and the purchaser shall be responsible for ensuring the goods are appropriate for the purchaser's applications. The purchaser shall indemnify DPM for all liability, loss, costs, expenses or damages, howsoever caused, by reason of any goods (whether or not defective) or any act or omission of DPM, including but not limited to any injury (whether to body, property or personal or business character or reputation) sustained by any person or to any person or to any property (unless such personal injury is attributable to DPM's negligence), and for infringement of any patent rights or other rights of third parties, and for any violation of laws or regulations governing the products or their sale, which may result from the use of, sale or distribution of goods by the purchaser. Limitation: DPM total liability for any one claim arising from any one situation (whether due to DPM's negligence or otherwise) shall not exceed £1,000,000. Reflecting the requirements of the WEEE and Battery Regulations, the purchase of goods from DPM requires that the purchaser accepts the responsibility of sound environmental disposal at the end-of-life of such product/s. This may be achieved by taking to an approved authorised treatment facility. DPM retains the design and manufacturing copyrights for all goods. DPM owns full copyright in respect of all its catalogues and photographs, and their reproduction in part or in whole is prohibited without DPM's prior written consent. A charge of 30% of invoice value, in respect of packaging and administration, may be levied on goods 'Not Wanted' or 'Incorrectly Ordered', or due to duplication resulting from a 'Confirmation Order' not endorsed to that effect. All goods returned under this category must be received in their original supplied condition and returned to DPM within 30 days of the original invoice date. The purchaser will bear all costs of returning any goods. No goods that have been specifically manufactured to the purchaser's requirements can be returned for credit unless previously agreed with DPM. Credit only is given after the goods have been returned and checked for any damage in any form what so ever. This does not affect your statutory rights. To open a credit account, please contact DPM and, subject to a satisfactory credit check, a 30-day account will be opened. Any credit limit granted to the purchaser shall at all times be at the discretion of DPM and may be reduced, suspended or withdrawn at any time without prior notice. All contracts and transactions are subject to force majeure. DPM shall not be liable for any failure arising from circumstances beyond its control. For example, among others; Act of God, war, riot, explosion, fire, flood, strikes, supplier delays or Government action. Purchaser's are responsible, at their expense, for obtaining any licence and complying with any export regulations in force within the United Kingdom and in the country of destination. All transactions and disputes will be governed in accordance with the law of England. 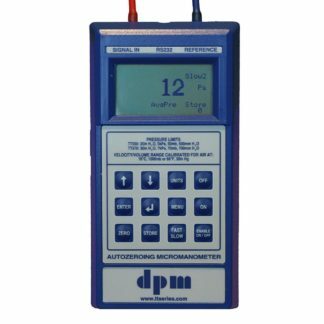 All DPM manufactured instruments carry a one -year warranty / guarantee against defects in either components or workmanship. During this period, products that prove to be defective will, at the discretion of DPM, be either repaired or replaced without charge. Instruments that have not been manufactured by DPM will be subject to a warranty period of twelve months. Where it is an integral part of an instrument. The product warranty / guarantee does not cover damage caused by fair wear and tear, abnormal storage conditions, incorrect use, accidental misuse, abuse, neglect, misapplication or modification, or use with non-DPM hardware/software. The user should make themselves aware of the proper use of measurement equipment, including maintenance, calibration, and comparison with other instruments. Associated Instrument Repairs is herein referred to as AIR. Your statutory rights regarding faulty or misrepresented goods are not affected. In the event of the purchaser's order containing special conditions, that order will only be accepted by AIR on the understanding that those conditions are not at variance with our own, or if there is any variance, that such conditions have been waived by the purchaser. Risk in the Goods shall pass to the purchaser when the goods are delivered to, or collected by the purchaser or his agent. Property and title to the goods shall not pass to the purchaser until all sums, including interest or legal costs due or owing to AIR or to its agents, howsoever arising, have been received by AIR's bank and credited to AIR's account. AIR reserves the right of passive retention, stoppage in transit, and the right of resale, of any goods when any said sums are due or owing. AIR will use its best endeavours to meet the estimated delivery times, but cannot accept any liability whatsoever for failure to do so. All goods and information are supplied in good faith and the purchaser shall be responsible for ensuring the goods are appropriate for the purchaser's applications. The purchaser shall indemnify AIR for all liability, loss, costs, expenses or damages, howsoever caused, by reason of any goods (whether or not defective) or any act or omission of AIR, including but not limited to any injury (whether to body, property or personal or business character or reputation) sustained by any person or to any person or to any property (unless such personal injury is attributable to AIR's negligence), and for infringement of any patent rights or other rights of third parties, and for any violation of laws or regulations governing the products or their sale, which may result from the use of, sale or distribution of goods by the purchaser. Limitation: AIR total liability for any one claim arising from any one situation (whether due to AIR's negligence or otherwise) shall not exceed £1,000,000. Reflecting the requirements of the WEEE and Battery Regulations, the purchase of goods from AIR requires that the purchaser accepts the responsibility of sound environmental disposal at the end-of-life of such product/s. This may be achieved by taking to an approved authorised treatment facility. AIR retains the design and manufacturing copyrights for all goods. AIR owns full copyright in respect of all its catalogues and photographs, and their reproduction in part or in whole is prohibited without AIR's prior written consent. A charge of 30% of invoice value, in respect of packaging and administration, may be levied on goods 'Not Wanted' or 'Incorrectly Ordered', or due to duplication resulting from a 'Confirmation Order' not endorsed to that effect. All goods returned under this category must be received in their original supplied condition and returned to AIR within 30 days of the original invoice date. The purchaser will bear all costs of returning any goods. No goods that have been specifically manufactured to the purchaser's requirements can be returned for credit unless previously agreed with AIR. Credit only is given after the goods have been returned and checked for any damage in any form what so ever. This does not affect your statutory rights. To open a credit account, please contact AIR and, subject to a satisfactory credit check, a 30-day account will be opened. Any credit limit granted to the purchaser shall at all times be at the discretion of AIR and may be reduced, suspended or withdrawn at any time without prior notice. All contracts and transactions are subject to force majeure. AIR shall not be liable for any failure arising from circumstances beyond its control. For example, among others; Act of God, war, riot, explosion, fire, flood, strikes, supplier delays or Government action. 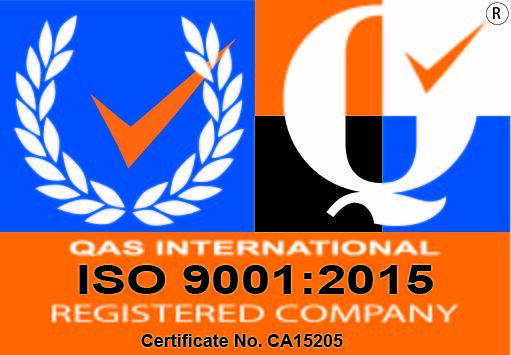 All manufactured instruments carry a one -year warranty / guarantee against defects in either components or workmanship. During this period, products that prove to be defective will, at the discretion of the manufacturer, be either repaired or replaced without charge. The product warranty / guarantee does not cover damage caused by fair wear and tear, abnormal storage conditions, incorrect use, accidental misuse, abuse, neglect, misapplication or modification. The user should make themselves aware of the proper use of measurement equipment, including maintenance, calibration, and comparison with other instruments. 1. DP Measurement agrees to let and the hirer agrees to take on hire the equipment described in the schedule upon and subject to the terms and conditions set out below. 2. DP Measurement hire will hire the items discussed for a minimum of one week. The charge will be on a weekly basis including weekends. 2A. The rental term is by the weekly charge only. Any late return of the equipment shall be charged as interest at a week's lease. 2B. The hire commences on the day the equipment is delivered to the hirer or is collected by the hirer from DP Measurement hiring offices. The hire continues until the equipment is returned back to the DP Measurement office in Buckingham. 2C. DP Measurement will be responsible for shipping out the goods unless the hirer would prefer to collect. It will then be the hirer's responsibility to ensure the equipment is returned by the date the hire expires. 2D. Payment for hiring the equipment must be paid before the leasing period starts. All prices are excluding VAT. 3. The hirer will use the equipment and observe all of the manufacturer's instructions while complying with the health and safety at work act 1974 or any statutory modifications or re enactment for the time being thereof. Not subject the equipment to any misuse or any unfair wear and tear. To preserve the manufacturer's identification number and markings on any nameplate that should be on the unit. To keep the equipment safe from damage and in good working condition. To contact DP Measurement in respect of loss damage or theft to the equipment however caused. DP Measurement will then quote a reasonable and fair sum covering the cost of repair and/or replacement, plus any loss of income as applicable to be paid by the hirer. 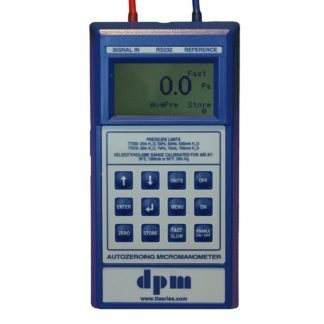 In the unlikely event of the equipment being defective on receipt or during use DP Measurement must be notified immediately and will replace the unit with minimum delay once the faulty unit has been received, any loss of earnings however caused DP Measurement will not be held liable. Return the equipment and all necessary extra components the way it was sent out. If components are missing on return the hirer will be charged accordingly. All costs including legal costs incurred as a result of a breach of this agreement including repossessing and restoring the equipment shall be the responsibility of the hirer. 4. The hirer will not sell, offer for sale, mortgage, lend or dispose of any of the equipment which has been hired. 4A. The hirer will not hold DP Measurement responsible for any damage, injury including death and loss to property or personnel with regard to the use of the equipment hired. 4B. In the event of equipment being used abroad or in a hazardous environment it is the responsibility of the hirer to arrange sufficient insurance cover to the full value of the equipment hired while also providing an insurance certificate to DP Measurement. 5. Any consumables ordered extra to the item hired will be charged at the current company list price. 6. DP Measurement shall be entitled to charge the hirer for the non return of any transit case or container supplied with the equipment. 6A. 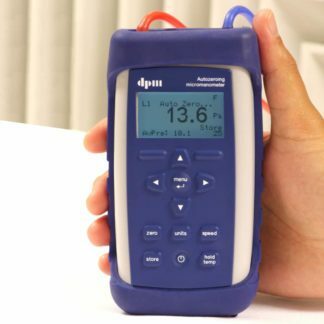 DP Measurement shall be entitled to assign its interest in this agreement and the equipment whether absolutely or by way of charge and whether wholly or in part to any person. 6B. DP Measurement will use all reasonable endeavours to make the equipment available on the date required by the hirer but shall not be liable for costs or claims arising as a result of delay. 6C. DP Measurement shall be entitled to make a reservation charge in respect of equipment that is reserved by a hirer before the hiring period has started. 6D. DP Measurement or its authorised representative's may enter at all times during normal business hours at any premises to inspect the equipment, upon termination to repossess the equipment. If a distress or execution is levied against any property of the hirer. If a liquidator, receiver or administrator is appointed in the respect of undertaking any property or assets of the hirer. If the hirer ceases or threatens to cease to carry on its business or is unable to pay its debts as they fall due or enters into any arrangements with creditors in general. If DP Measurement have fair beliefs that the rights in the equipment are in jeopardy. 7. Upon termination of this agreement before the end of the hire period the hirer would have paid the full amount plus a refundable deposit on the grounds of that the equipment has been returned damage less and in full working order. 7A. On termination of this agreement for whatsoever reason the hirer shall immediately return the equipment and shall grant DP Measurement all necessary access to regain their rightfully owned equipment. 8. DP Measurement reserves the right to amend the terms and conditions at any time without prior notice.